Home Best Practices IT Procurement Transformation Can fighter jets be affordable? As more competition emerges within the fighter jet market, can the military really meet their promise of focusing on affordability and sustainability? The Scorpion was introduced as a budget-priced American fighter jet in mid-September by Textron Inc. – known primarily for its manufacture of golf carts and Cessna light aircraft -- as US Air Force leaders gathered for an annual meeting in Washington, D.C. The aircraft was designed without an order contract in place, and is intended to fill a general-purpose reconnaissance and light attack role. This makes it attractive to the US military as well as countries looking to replace older Cold War-era US- and Russian-built aircraft. Its biggest feature? While the actual expected price was never mentioned specifically, it was quoted as being several times lower than current twin jet engine strike aircraft to produce, with an hourly operating cost 1/8th of what the Air Force currently pays to operate the aging F-16. Incidentally, the F-16 performs many of the low skill, high frequency missions that the Scorpion seeks to perform. 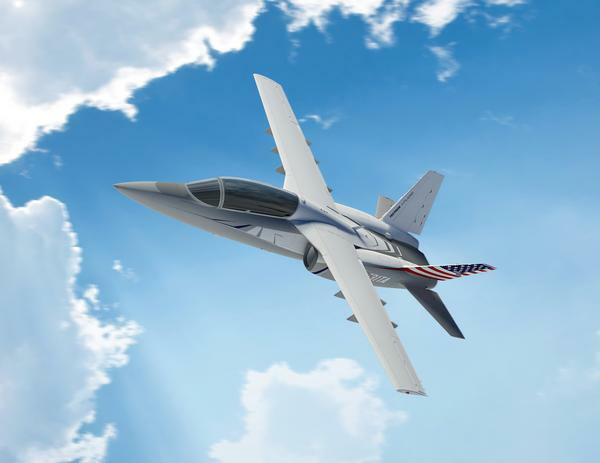 Textron started development of its aircraft in 2012 with an accelerated two-year design-to-production timeline and plans test flight later this year. The model shown to military leaders was a prototype indicative of the finished design. In sharp contrast to the Scorpion stands Lockheed Martin’s F-35. True, the Scorpion is certainly not designed to be the most technologically advanced aircraft in the fleet, but its development and purchasing strategy are surprisingly compact and realistic in comparison to the F-35’s. Lockheed Martin has been actively developing the F-35 for over 13 years and was reprimanded last year by the Pentagon’s weapons buyer Frank Kendall for focusing on short term business goals. The Pentagon’s purchasing strategy for aircraft involves manufacturing and acquiring the planes prior to their being tested. This type of purchase is dependent on the manufacturer producing a large quantity of aircraft in a short time period to reduce the unit price. This same strategy is often used in supply chain procurement with products such as nuts and bolts to secure a quantity discount from the supplier. However, nuts and bolts are not very technologically sophisticated and do not require individual testing. The F-35, on the other hand, entered the production phase in 2007 prior to any flight-testing, and is not scheduled to complete the testing phase until 2017. Therefore, the Pentagon will have purchased 365 planes of untested design. The three versions of the aircraft have, up to this point, suffered from a series of mechanical, electrical, software, and usability flaws and failures. Unit costs have risen from $69 million to $137 million, and the further cost of refitting the planes manufactured during the testing period is projected to reach $3.8 billion or an additional $10.4 million per plane, on average. Not confronting the difficulties and cost overruns the F-35 has encountered directly, the Pentagon continues to fund the $392 Billion fighter jet program, announcing the further purchase of 71 fighter jets in late July. After a six-month contract negotiation period for the new planes with Lockheed Martin, an incumbent supplier for over 12 years, the Pentagon achieved a 4% savings on 36 units and an 8% savings on 35 units. This sale continued the Pentagon’s trend of increasing order quantity to realize volume savings. Ten allied nations have also invested in the program and committed to purchasing the F-35 fighter. Australia, Italy, Norway, and Great Britain are due to receive aircraft under the July contract. The Netherlands has also committed in mid-September to take part in the F-35 program in order to replace its fleet of aging F-16 fighter jets. However, the Dutch have reduced the order size due to increasing costs and shrinking budgets. No customers exist yet for the low-cost, low-speed Scorpion, though the company expects to sell them domestically and internationally, making the jet’s development and sale cycle similar to the unmanned drones. So, this is a study of two planes. One ordered before it was ever fully developed, is incredibly expensive and feature rich, and has taken a decade+ to be delivered. The other will be finished before it is ever ordered, is relatively inexpensive in terms of fighter jets, has a more limited feature set, and will be available by the end of next year. Two planes. Two development tracks. Two theories about production and sales. Which will see more success?